If you would like to, make a comment! I worked on my aunt and uncle’s farm during the summer of 1952. 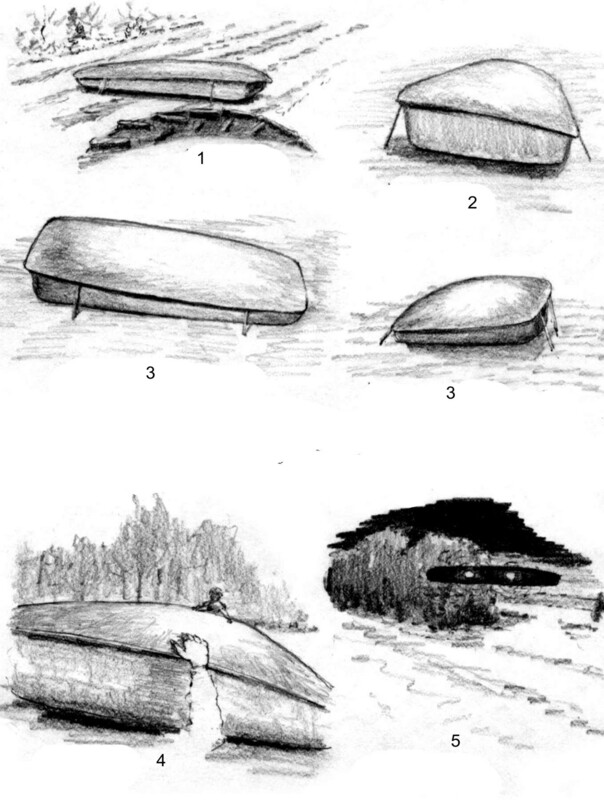 During the first day, right away while racking hay, I saw this coffin sitting in the field – figures 1 & 2. It looked like a strange piece of farm equipment. It was not more than 10 yards away from me. When eating lunch, I told my uncle about it. We went out to look at it and it had moved. My uncle said he would contact his neighbors to see who put the coffin in his hay field. I continued racking – figures 3. After supper that night we went out again and it was still there. When we tried to touch it, it moved slightly and our hands went into it, giving us the feeling of a mild electric shock – figure 4. 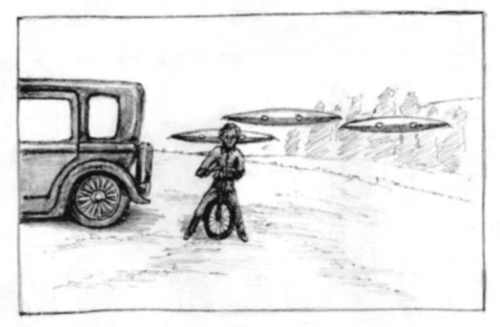 When we backed away, it lifted off of the ground and hovered with a glow around it and with its headlights dimly shining – figure 5. My uncle got very concerned and sent his two boys and me back to the front yard of the farm house. While there wrestling with the boys, we heard strange noises above us. We looked up and saw a few mysterious craft flying about 100 feet above us in luminous haze. This first day with the coffin set the tone for the rest of the summer. We experienced many short sightings that entire summer, which included a trip to Wyoming and the Southwest United States, also possibly to the Northwest United States (…or that might have been another summer). My uncle couldn’t understand any of it and he nearly went mad trying to figure it out. He was so upset at the sight of the many crafts and objects that appeared that summer, he thought I was responsible for their appearance.